Finding the right underwear for your body type can be a challenge for anyone. When you’re on the larger end of the body index scale, it becomes even more complicated. That’s because there is more body to dress and comfort can be harder to reach. Finding the best boxer briefs for overweight men will add ease to your daily routine. Before you decided to begin your search for the best boxer briefs for overweight men, there must have been a moment when you settled on boxer briefs. 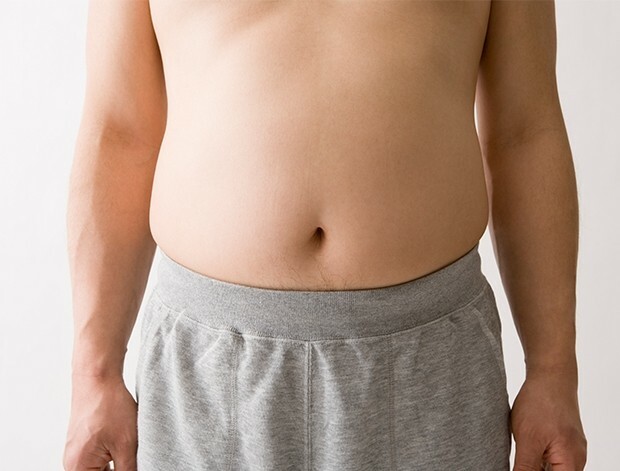 So, what are the benefits of wearing boxer briefs when you’re overweight? Shape and style of classic boxers. An extra fabric covering thigh area. One of the best things about boxer briefs, when you’re carrying extra weight, is that they have fabric which extends down the thighs. This is helpful in the sense that it acts as a barrier between thighs to prevent chafing and uncomfortable friction throughout the day. Waistband: one of the most important parts of any pair of underwear is the waistband. It needs to be both durable and soft for optimal comfort and support. Holding extra weight creates the risk that the waistband will be either too tight or loose. It’s vital to find a waistband which will sit properly on your body without creating discomfort. Size: choosing the right size is half the battle in ensuring that your underwear fits you correctly. This factor determines the amount of adjustment you will find yourself engaging in throughout the day. Be sure to reference the sizing chart for each pair of underwear you plan to invest in. Fabric: when you’re carrying more weight around than what is comfortable, fabrics are very important. Choose underwear made from soft and breathable fabrics to ensure that you stay cool and dry even on the longest days. The Different Touch Boxer Briefs are are an affordable option that comes in a pack of 6, with 3 black pairs and 3 gray pairs. This underwear is made of 60% cotton and 40% polyester to create a soft model which is ideal for wear during colder weather and is flexible enough for fluid movement throughout the day. The sizes are according to US standards and are true to fit. The boxer briefs are constructed with a leg length which is longer than most models. This feature will prove useful if you struggle to prevent chafing on your inner thighs or want to avoid having your underwear ride up. The waistband on these boxer briefs is secure enough while remaining flexible for easy movement and optimal comfort. Hanes is a brand known for its reliable undergarments, and these Big Boxer Briefs are no exception. The pack of 3 comes at a reasonable price and provides high-quality underwear. These underwear follow the Hanes trademark by keeping you comfortable in the soft fabric without compromising support or flexibility. These boxer briefs are available in sizes 2X-6X-Large. The Hanes Boxer Briefs are very easy to keep in good shape. They can be machine-washed or hand-washed, depending on your personal preference. Even after many years, the underwear will keep its shape and supportive hold. Click here to read more about Hanes Big Boxer Brief on Amazon. Fruit of the Loom is another brand well-known for its undergarments. These Knit Boxers are an excellent addition to the collection of any bigger man. Although called boxers, their make is much more similar to that of standard boxer briefs in that they fit the body snugly. The pack of three includes assorted solid colors. These boxers are made from a combination of cotton and polyester, which means they are wearable even in colder weather. The affordable boxers are made from a high-quality material which will hold up over time and throughout many wears and washes. Keep in mind that these boxers run on the large side. If you want more of a boxer brief fit, be sure to order at least one size down. Click here to view Fruit of the Loom Knit Boxers on Amazon. The Harbor Bay Boxer Briefs come in a selection of three solid colors for you to choose from. They are made of 100% cotton, so you can wear them comfortably throughout all seasons. The wide waistband on these boxer briefs helps keep them in place to ensure reliable support and also adds comfort. The comfort leg opening is designed to prevent uncomfortable binding, and they will not allow chafing or ride up. Overall, these boxer briefs run on the larger side, so you may want to order them a size down from your normal underwear. Harbor Bay provides high-quality boxer briefs that will last for years before needing to be replaced. The Jockey Boxer Briefs are made from 100% cotton and are easy to take care of, as they can be machine-washed and dried. These boxer briefs are designed to provide full rise and coverage for your all-day comfort. When cared for properly, this underwear will be a part of your wardrobe for years at a time. They run a bit big, so consider ordering a size smaller than usual. The waistband sits firmly but flexible on your body and these boxer briefs will not ride up your legs. By taking the time to search for the right pair of boxer briefs for an overweight body, you give yourself the gift of all day comfort.